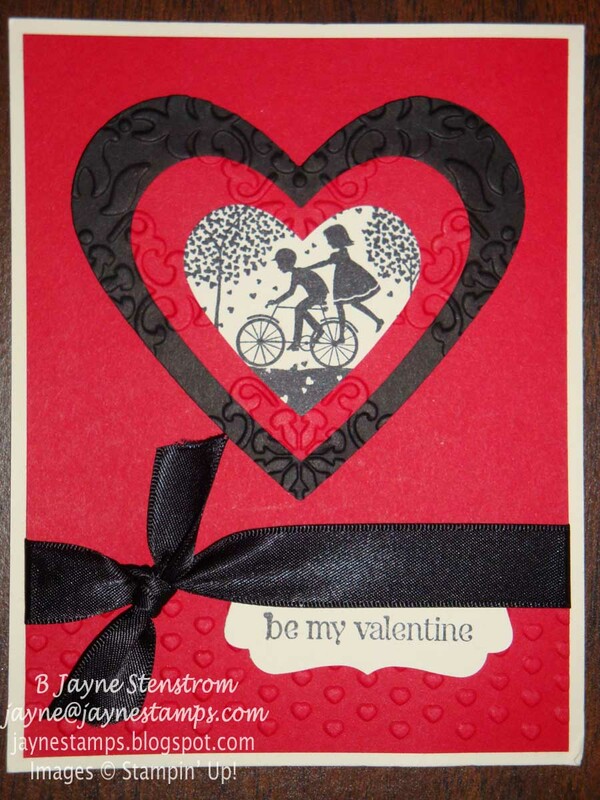 Whether you have a "sweetheart" or not, there's just something fun about Valentine's Day. Maybe it's because it's the first holiday to break up our dreary Michigan winter? Who knows, but I've always liked heart-shaped items - and Valentine's Day gives me the perfect opportunity to make as many as I want! I have a couple of cute projects to share with you today. Both were items I saw at my friend Deb's house when we got together last week to stamp. First is an adorable card made with the Take It to Heart stamp set and the Hearts Collection Framelits Dies. This stamp set can be used for so much more than Valentine's Day. And it wouldn't be Valentine's Day without some chocolate! Isn't this adorable? It's a double nugget holder made with the P.S. I Love You stamp set from the Occasions Mini. 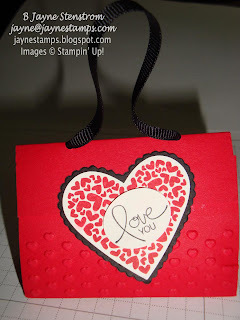 Both this and the card above use the little hearts Adorning Accents Textured Impressions Embossing Folder. Both projects were made by Vikki Beck. Very cute, Vikki!